The future of digital building information management! Vektor3 instantly visualizes all Your 3D BIM, GIS and IoT data in a browser. There are no installations or downloads required and no limits on data complexity. 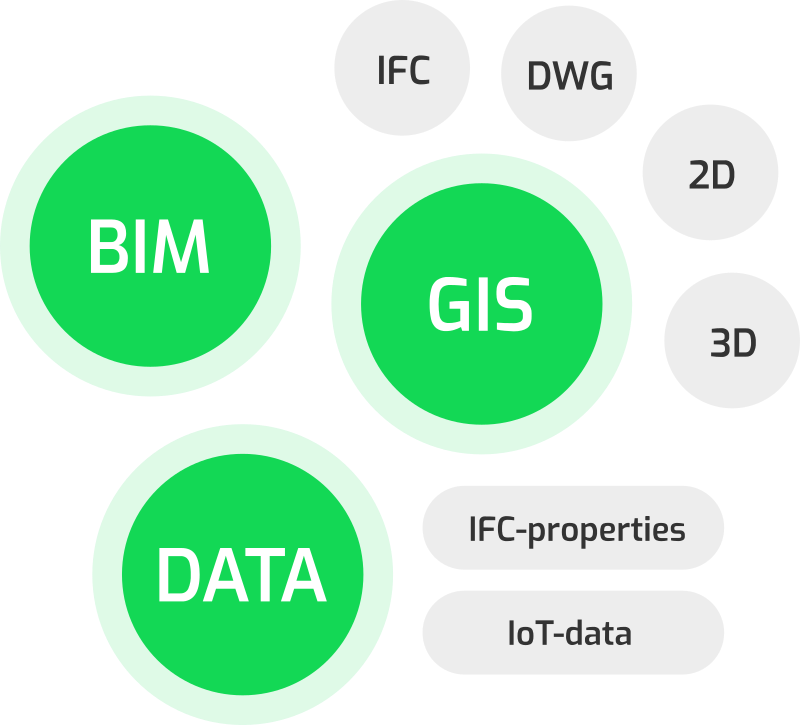 Vektor3 is a web-based platform for visualizing large scale 3D BIM, GIS and IoT content. VektorDB is a database designed for indexing and searching BIM-data efficiently. Data produced across building lifecycle phases can be automatically combined into a visual experience for easy collaboration and analysis. Vektor3 automatically combines data from different sources and fits them together. You can build new applications leveraging the data in minutes and collaborate with Your stakeholders seamlessly. Zero manual steps, app installs or downloads. Vektor3 can integrate all the 2D/3D-model formats generated in the different phases of the building lifecycle. We are ready to lead you into the future of BIM. For product demos and pricing, contact us. Read more about the case stories on the References page.